1. Clinique Beyond Perfecting Foundation + Concealer - It's been a while (a long while) since I have used a Clinique foundation. But something about this new one intrigues me. Maybe because it can be a base and concealer in one? If you know anything about me, than you know I love a bit of coverage. So this sounds right up my alley. 2. Estee Lauder Double Wear Stay-in-Place Flawless Wear Concealer - I have never tried anything the Double Wear foundation range, but after falling in love with the new reformulated Double Wear Eye Pencils (read my review here) the line is now on my radar. This concealer sounds promising with its long wearing claims and flawless finish. 3. Armani Eye Tints - I can't really remember the last Armani eye shadow I purchased (though I love these lipsticks from Armani), but these new Eye Tints immediately impressed me. The range of colors is quite extensive but there seem to be a lot of neutral tones that would work perfect for every day. 4. L'Occitane Almond Milk Concentrate - It's embarrassing to admit that I have not yet tried this super popular body cream, but alas I am late to the party. I can always use another rich and emollient body cream and if it's almond scented - that is even better. 5. Cle de Peau Beaute Radiant Powder Foundation Brush - After splurging on this brush and this brush, I am on a luxury brush roll at this point. This is ideally designed for powder foundation, but I can see it working wonders with bronzer, finishing powders and even cream foundations. 6. Bobbi Brown Brightening Powder - I swear by this pastel brightening powder I purchased last year (it was one of my best of 2014 picks), so to see that it now comes in a plethora of other shades makes my heart (and face) happy. I think this neutral toned one would be a beautiful contour shade for me that would add some color as well as dimension. 7. Atelier Cologne Polemo Paradis Cologne - After falling in love with Santal Carmin, I can't help but want to add a new scent to my collection. With notes of Blackcurrant, Orange Blossom, Rose Essence and Amber, this sounds like the perfect scent to take me into the spring season. 8. La Prairie Swiss Crystal Ice Emulsion - No I cannot resist a new skincare launch. Especially one from luxury brand La Prairie (this cleanser from them is one of my favorites). This lightweight emulsion is designed to help address the first signs of aging while keeping skin hydrated and in balance. And frankly, that sounds perfect to me. 9. Omorovicza Mineral UV Shield SPF 30 - I wear SPF all year round, and just ran out of one of my all time favorites, so naturally it is time to look for a new one. I'm new to the Omorovicza range, but it claims to help blur imperfections and give a matte finish which is basically music to my ears. 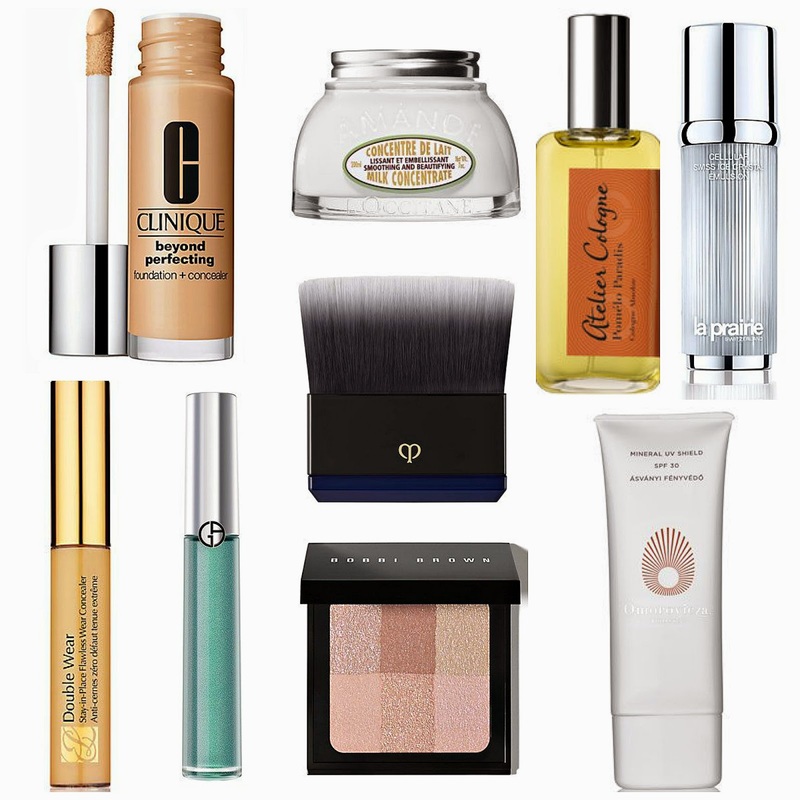 What is currently on your beauty wish list? Leave me a comment below!